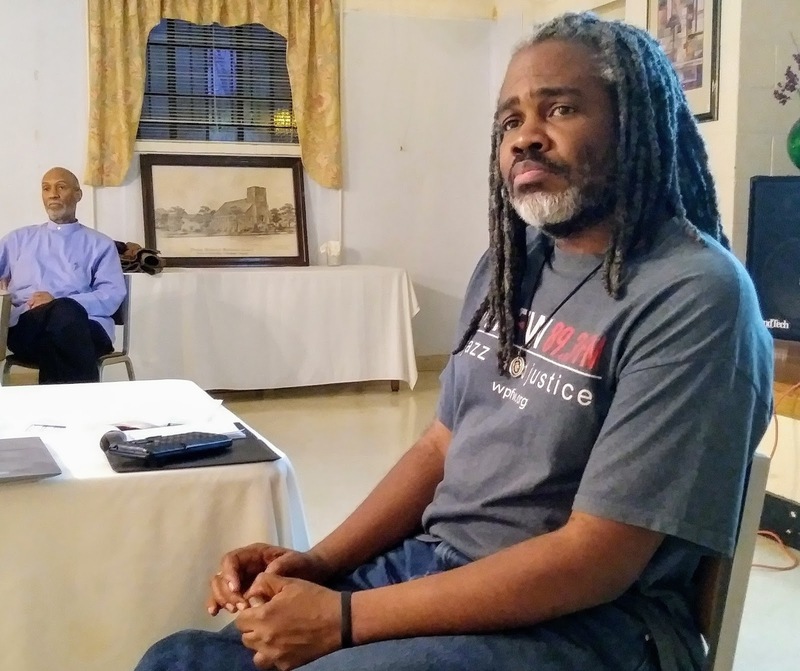 The Virginia Defenders held a public forum on what the U.S. is doing in Zimbabwe. ​Our guest presenter was​ Netfa Freeman, former program coordinator of an agricultural project in Zimbabwe. He works for the Institute for Policy Studies in Washington, D.C. but was not speaking on their behalf. He also produces Voices With Vision: Not for the Politically Faint of Heart, a radio program on WPFW 89.3 FM and podcast via iTunes and Google Play Music. The forum took place Monday, April 2, 6:30-8 pm at Wesley Memorial United Methodist Church, 1720 Mechanicsville Turnpike in Richmond’s East End. ​As Che once put it, we here in the U.S. live in the Belly of the Beast. That being so, we have a responsibility to know about and oppose what the 1% and its government is doing in Asia, Africa, Latin America, the Caribbean, the Middle East and Europe. It’s not enough to only work on bettering our own lives, if we ignore what our tax dollars and our young people in uniform are forced to do in other countries. Netfa's presentation was a practical explanation of history of Zimbabwe during its colonization by England and continuing pressures on the nation since its independence in 1980. In the context of the demonization of the country's former president Robert Mugabe and efforts to implement land reform, Netfa emphasized the importance of looking between the broadcasts and reading between the media lines--doing the due diligence--to understand better why things are happening the way they are in Zimbabwe, in South African, in Syria. And so on. There was a Facebook event created--facebook.com/events/2214431048834536--and it was broadcast via Facebook Live Feed from the Virginia Defenders for Freedom, Justice & Equality page--LINK. If you missed the event, please check out the video on Facebook.